MICA tuition covers the cost of the boundary-pushing and imaginative education you will receive at our model campus, and via lifelong opportunities that come from joining our global family of creatives. The figures for each of the areas of study linked from this page are provided as average estimated costs. Students should adjust the provided average estimated costs figures to reflect their actual individualized costs such as the room and board estimate if living in the residence halls or the transportation cost if traveling distances that are more costly than the average figure provided. Looking for cost info about our non-degree earning programs? 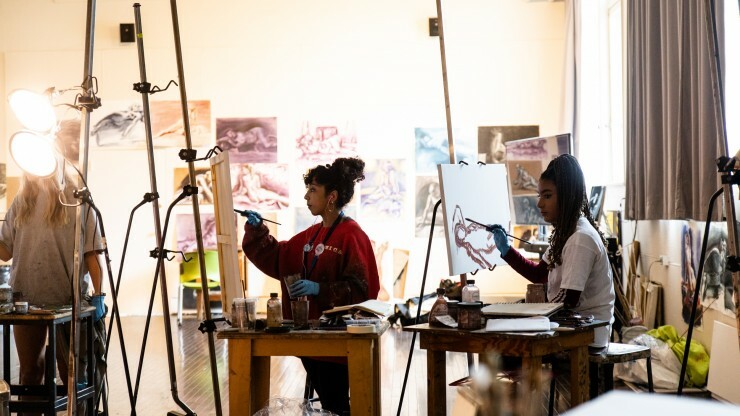 Whether you're an adult looking for professional and creative advancement, or in high school, middle school, or elementary school, MICA has a program tailor-made for artists in each stage of life. Click the link below to learn more about our Open Studies programs and their associated costs.